Sweetly scented freesia along with darling purple and white blooms - what a delight! Arranged in a petite basket, this is an ideal gift for your special sweetie. 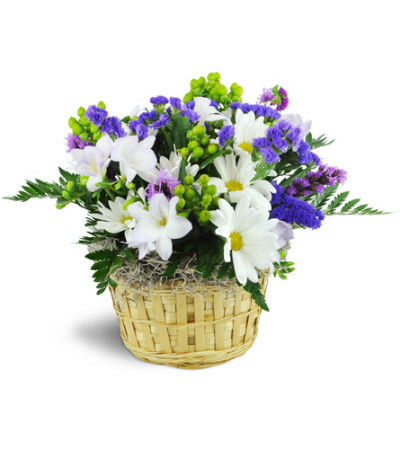 Freesia, white daisies, purple liatris, and more are arranged in a wicker basket - perfect for a Get Well, New Baby, and more! 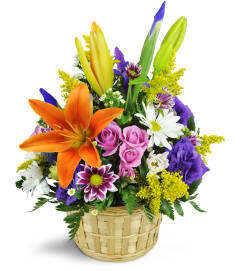 You were so helpful and delivered the flowers we ordered immediately. Thank you so much! "OUTSTANDING"...Beautiful arrangements...outstanding quality and service...Thank you. 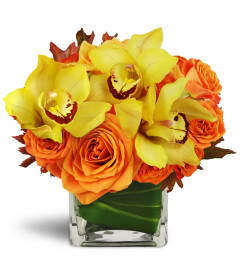 Wild Orchid of Westchester is a Lovingly Florist in Eastchester. Buying local matters. Discover how Lovingly supports local florists. Copyrighted images herein are used with permission by Wild Orchid of Westchester.